Well ladies - here it is. The final prompt for the summer album class. I hope that those of you who have been playing along - or who plan to play along at a later date - have enjoyed the prompts. I have loved doingt hem and it has made me get my act together and make two new albums this summer with pictures that needed scrappinga nd made me thing about journalling too. Thanks for being fun to play along with and thanks to those of you who have left feedback here about the class. So - enjoy the final prompt! Finally these are my pages for the Disney prompt 7 - out of this world. I deleted the single pages after I scanned them and so can't put them here I'm afarid, but you get the general idea. I started working on the prompt 6 pages for my Wild west album on Friday. And it all went wrong. I sewed the mount on the wrong way, I sewed the mount on crooked, I stamped thw wrong date and then I realised my huge mistake. The pages were for my Wild West Album - the he said she said pages - so why one arth had I scrapped 6 pictures all of Canada. I had finally lost the plot. The pages remain relatively unfinished as I lost interest after that! 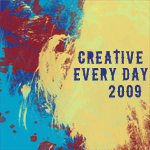 Today I re-scrapped the same design using Wild West pictures and Nigel and I have both done the journalling tags. Nigel's page features some of his favourite pictures of Grand Teton National Park and the Snake River. My page features my favourite picture from Arches National Park. We both journalled about our photos on one side and then about the trip in general. We did them completely separately and yet the journalling is remarkably similar - and we both agreed it was the best road trip we have ever done. I guess we are pretty compatible then. So did you spot the error - I really should have not done these pages!!!!! Nigel's pictures were supposed to be with the page that said Reflections. Duh! OK so who else spotted yet another mistake. Both pages uploaded were the same. For goodness sake I can't even load the right pages. Well I am figuring we are almost at the end of this now. I was planning on 10 prompts all in one session over the summer but participation seems to have dwindled and so I am assuming everyone has enough to work on for now - which is totally fine - and so I plan to end with next week and not continue with all 10 until perhaps later in the year. I know a lot of you have downloaded the prompts to use at a later date and I hope that they inspire you and give you some great fun in the future. Please don't see this as a hint to do more - it truly isn't. I think people have just got enough to be working on at the moment and too many more prompts are just overload. Even I am struggling now and am ready for a break before resuming later. Thank you so much to you all for your support. I have loved doingt his and . int he words of Arnie .... I'LL BE BACK ... and there is still one more week to come! I will look at doing a few more later in the year. I hope those of you who have played along have enjoyed what you have been doing - it has given me a great deal of fun this summer. I made this pair of very very simple pages yesterday - put it down to being poorly and feeling rotten. They are for the he said she said prompt and I made Nigel do some work too. Both pages have a big tag that pulls out and is filled on both sides. I have to say Nigel excelled himself and his journalling notes are way better than mine. We both picked one of our fave pictures and then journalled about that picture on one saide of the tag and about WDW holidays in general on the other. Although the pages are very simple I am pleased to have them in my album as they are all about how we feel - that journalling is all important. My knee is much better today - though keeps sort of giving out. I have stopped the coedine which was what was making me feel sick I think so also feel much better in myself. I am hoping when I go back tomorrow they can tell me what it is - as I have a fear that the collapse is going to keep on happening until I get it sorted out. And I don't want it to happen in public - I really could not move at all and I have visions of it happening out or at school. I have played with my new Bejeweller today - and it was as easy as I hoped it would be. I cannot share the whole page but was quite pleased with this that I made to go on a page as an embellishment. I want to order some new crystals now as I know what sizes I need. Some of them I ordered are way too tiny for words! I hope that you all enjoy this one. It is a little different but I think you will find it fun to do and I would really love to know what you think of it. I have seen lots of great pages for this class so far and I know lots of you are downloading the prompts and saving them for another time. Well the theme was water and I couldn't not include Typhoon Lagoon which is our favourite water park. However, I did it with a twist. The page is tribute to a visit we made there in 2000 and the pull out tag under the photo explains it all. We were there before park opened and were waitingt o go in. A cast member was asking questions and I yelled out the answer to one. It was how many gallons of water were in the lagoon. It was just the first number popped into my head. Apparently I won. I was called forward and called Nigel too and I was told I was to be the Big Kahuna for the day. We were escorted into the park before it opened and taken to a special roped off area with loungers a table and in prime position for the beach and lagoon. We were given free locker and towel rental, free huge velour souvenier towels, souvenier cups for free sodas all day, free ice cream vouchers and a medal bearing my new title. I was the only person in the lagoon for 10 mintes. It was so awesome and so unexpected. We don't have photos as we had not taken our cameras that day. I used magic mesh to echo the netting, sand and sea shells tocive the page a typhoon lagoon type feel. My second watery page was of the Caribbean Beach - where we always stay in Florida. We love it so much there witht he pools and lakes and fountains. water is a big deal in Florida. There are so many lakes everwhere. I had great fun working on these pages yesterday. They are pictures I may well not have scrapped - or at least not scrapped this way - if I had not been doing this class. These are pages for my non-Disney version of the class. This forst one is based on a class Kirsty Wiseman did for the Design Collective. Sigh - what happy days they were. It was such fun to have been part of the DC for the year it ran. I loved making the classes and they were such great girls to work with too. I had made a page using this format before but I loved the design and so wanted one in this album as well. The Becasue (and the little 'I never wantto forget') are a Creative Imaginations Rub on - boy do I love those rub ons. The pictures are of Jenny Lake in Grand Teton Wyoming. The second page is a river on the way there. It is somewhere in Utah though I have no idea of the name of the place. It serves to showcase how scenic the whole route was. We learned to keep our eyes peeled as there were great views and sights all along the way and we kept on stopping at places like this to take pictures. I am also showing a page I made very quickly last night. It is based on a Becky Fleck page map and was one of the Sultry Summer challenges on UKS. I loved the sketch - and can see me using it again. The picture was taken down at ground level when we went on the London Eye last month. The street lamps along the embankment are beautiful and I just loved the contrast of the lamp in the foreground and proudold Big Ben in the background. Firstly let me apologise - I totally forgot it was wednesday so sorry for the lateness of the prompt. It was done (prompts 6, 7 and 8 are also done ready LOL) just hadn't figured the day of the week. Anyhow - here it is now - can't wait to see what you come up with. I have been working with Jakki most of the day, but did have time to finish of another My Freedom page. I am not sure I interpreted this prompt correctly, but this is what I have gone with -a? sort of then and now (and I have since taken off the letters and put them back on straight but can't be bothered to rescan it - sorry. I used 5 pictures of me over a period of some 42 years - scary to look at I know - and have answered the same questions for each picture. It was interesting when going through my photos to see which periods of my life had very few pictures. There were loads to chose from as a child, almost none as a teenager (and certainly very very few that I would want to own up to) very few in my 20's and then more in my 30's and now way too many in my 40's. I put it down to usual teenage angst of not wanting to be photographed, and in my 20's pictures were still expensive and I for one didn't have a camera for much of that decade. This was an interesting exercise to complete. Now off to think of my title page. am sooooooooo behind in my scrapping -w hich is a terrible thing to say. This is meant to be a hobby not a challenge LOL. However, I like to set myself targets and hate when I miss them. I haven't done my P pages for my fur babies A - Z album and I gaven't done my 2 double pages from Shimelle's class yet from last week and this week's prompts are coming in thick and fast. Trouble is Nigel has been off - I am blaming it all on him you see. We've been off enjoying ourselves too much. Anyway - I have now caught up on the Magical Memories prompt 4 Disney pages - the prompt all about travel. This first place details some of the ways we travel around thr world - the world in this case being Walt Disney World! I cheated a little as one picture came off the net - the boat. The different wats are the car - we do tend to drive most places even though we stay on property and there are other options. The monorail - we love doing the hotel loop from MK and visitingt he other hotels and ending up at the Contemporary for dinner. The inevitable trams from the massive parking lots. - but I love those. The drivers and attendants ont he back are often so funny - they crack me up every time. I had great fun with this page. The other page is the safari which seemed to fit the transport theme as you are taken in the jeeps. We always do the safari a couple of times but I confess we do have mixed feelings about it. I prefer to see the animals at Busch as you get closer for longer. The safari is beautifully themed at AK but just a bit too themed, too quick and bumpy for decent pictures. I have been very bad at makingt he blog prompts for Shimelle's class of late but do want to comment on todays. The prompt was to discuss wether you prefer pages with one photo or lots of photos and I really and truly can't decide. I think it depends on the reason I am scrapping. For DT work I tend to do more one photo pages as they can be more dramatic and make more of a statement. For pages about days out or specific events I tend to do a lot of pages with one main photo and several smaller ones. I guess even if I do a milti photo page I tend to still have a main picture as a focus for the page, though I can think of plenty of exceptions. I like the statement that a single photo page makes, but I am also terrible at picking which picture to use and so like to cram a few more on where possible. I have just had a look through my favourite pages album (Scroll down this page and the albums are at the bottom left) and approximately 1/3 of the pages are multi photos. For this class of Shimelle's I have used all multi photo pages and for my own class on here - Magical Memories - only 2 of the 16 pages have been single photo - the rest have been LOTS of photos.